PEACE OFFERINGS, THE END TIMES, THE MILLENNIUM, AND HEAVEN. Shalom. Our teaching this morning from Torah, The Law of Moses, will be from Leviticus 3.1-5 and further. And the Title of our Message is Peace Offerings, The End Times, The Millennium and Heaven. So with that said, let’s read LEVITICUS 3.1-5. LEVITICUS 3.1-3 An oblation is an offering. The Hebrew for oblation is KAR’BAHN. But what is a peace offering? Peace offering in Hebrew is SH’LA’MEEM. And the peace offering is a sacrifice from the herd or the flock, which would be an ox, bull, cow, a calf, or a lamb, sheep, or goat. The animal could be either male or female, without blemish. Meaning, the animal had to be perfect without any imperfections. And the animal was offered before The LORD, and killed at the door of the Congregation. The offering was voluntary. Any person could bring the peace offering, that is any person could bring the animal sacrifice to the Priest at The Tabernacle, or later The Temple. The sacrifice of the peace offering was NOT for atonement. The purpose for the peace offering by the owner of the animal was to offer a gift to The LORD their GOD. It was an overpowering way to express their love for The LORD. Their joy and gladness, and gratitude in thanksgiving. Perhaps even for relief from deliverance from harm and danger, and now their comfort. The peace offering to The LORD their GOD in Hebrew means to be at peace, to be safe, and to reciprocate. To make amends, and give thanks, and much more. The individual owner brought the animal to the Priest at The Tabernacle for the peace offering. And the sacrifice was in this way. The owner put his hand on the animal’s head and it was killed. And the Priest sprinkled its blood on the sides of the Altar. It was an offering made by fire unto The LORD. As a point of information, the procedure for sacrificing animals was similar to slaughtering animals today for our food. It was designed to be quick and as painless as possible. Let’s talk about sacrifices for atonement for a moment because The LORD says in Torah, “For it is the blood that makes atonement for the soul.” Leviticus 17.11. Unfortunately Judaism is taught to deny that the blood of a sacrifice must be shed to make atonement. Judaism teaches that there are other ways for atonement such as prayer, charity, and good deeds. That doctrine is in violation of Torah, GOD’s Law of Moses. For GOD says, “It is the blood that makes atonement for the soul”. Thus, much of Judaism, by rejecting their Messiah Yeshua Who voluntarily gave His Life and shed His Blood for the purpose of our atonement are without atonement. Atonement means that The GOD of Creation has forgiven all our sins, and we have reconciliation with GOD. Something we all need, even Israel, GOD’s Chosen People. LEVITICUS 3.4-5 It is suggested in Rabbinic commentary that burning the fat of the animal sacrifice on the Altar provided a dense smoke of a sweet, meaty fragrance, suggesting that The LORD received pleasure from its aroma. However, I think of GOD’s Words written in prophesy concerning the Sin Offering Death of The Jewish Messiah Yeshua for our atonement, for Israel and all the world. And Messiah’s death PLEASED The LORD. ISAIAH 53.10 reads, Yet it PLEASED The LORD to bruise Him. The word bruise in Hebrew is Dah’kar meaning Destroy and Crush. GOD was PLEASED to Destroy Messiah on a Roman cross in Jerusalem because His death was for our atonement, to forgive us our sins. It is written. And it was spoken by GOD to the Prophet Isaiah. It’s true. Sin brings punishment and death. See the great flood in Noah’s day, GENESIS 6-8. Sin brings separation from GOD, and exile from The LORD. See ISAIAH 59.2 and 2 KINGS 17.7. And sin brings hardship, GENESIS 3.15-19. The soul that sins, it shall die, the LORD says. EZEKIEL 18.4. Sin brings evil into our lives, JEREMIAH 11.8-11. And sin is breaking GOD’s Law of Moses, 1 JOHN 3.4. All Jewish teaching. And all the reason we all need atonement for GOD to forgive us our sins, all of them, and be reconciled to GOD. And then we must repent and turn from all our sins, and lead a Lawful Life in accordance with GOD’s Law of Moses. And all our transgressions that we have committed, they shall not be mentioned to us. In our righteousness that we have done we shall live, thus saith the LORD. EZEKIEL 18.22. And GOD made His decision to be our Atonement sometime in eternity. He made that decision that He, Himself in The Person of Yeshua The Messiah would be our Atonement to forgive us all our sins and reconcile us with Him. It PLEASED The LORD to bruise Him, to destroy Him, even Himself that He, The Mighty GOD of Jacob, Elohim would be our Atonement so we could start to lead a GODLY life as the Shema reads in Deuteronomy 6.4-5, Obey GOD, His every Word, Matthew 4.4. Know and believe there is Only One GOD, and love The LORD with all your heart, with all your soul, and with all your might. That is the pathway to a good and GODLY life. That is the pathway to Heaven. (LEVITICUS 3.11&16) After the sacrificed animal was prepared properly on the Altar, an offering made by fire unto The LORD, it was eaten by the Priests, the owner of the animal, and perhaps the owner’s invited guests. LEVITICUS 3.17 The peace offering is a perpetual statute for your generations throughout all your dwellings. That you eat neither fat nor blood is also a perpetual statute. A perpetual statute in Hebrew is KHOO’KAHT O’LAM, meaning a Law Forever. The peace offering is a Law Forever. A perpetual statute means that in the future 1,000 year Millennium, the Age Of Peace, when The GOD of Israel, The Messiah Yeshua returns to Israel, and builds The Temple in Jerusalem, and sits and rules on His Throne, and reigns over all the earth, all the offerings and sacrifices will be reinstated. ZECHARIAH 6.12-13, ZECHARIAH 14.1-9, 21, EZEKIEL 41.1, 4, EZEKIEL 45.15. EZEKIEL 41 GOD showed Ezekiel in a vision the future Temple that will be built in The Millennium, and perhaps a view of the Age Of Peace. But prior to the Age Of Peace, the 1,000 year Millennium in Israel, as we all know, there will be a time of great trouble, and great tribulation such as was not since the beginning of the world to this time. And there will be nothing like it again. Those are Yeshua’s Words in Matthew 24.21. Inheriting eternal life is explained in The Bible by GOD, Elohim, The GOD of Israel Who is Yeshua The Messiah. And it is not difficult. Believe in Messiah Yeshua for atonement. Repent. Turn from your sins and obey GOD’s Law that are written in The Law of Moses. And as the Priests of old were immersed in water as a sign that they were clean from their sins, you too must be immersed in water as a sign that you are clean of your sins. And continue to lead your life according to GOD’s Laws that are written in The Law of Moses. That is GOD’S path to eternal life, and it is not difficult. Posted on August 24, 2014 March 24, 2015 Categories Shabbat MessageLeave a comment on PEACE OFFERINGS, THE END TIMES, THE MILLENNIUM, AND HEAVEN. WILL GOD REINSTATE THE SACRIFICE IN THE MILLENNIUM? Shalom. Our teaching this morning from The Torah, The Law of Moses will be from Leviticus 2.1-6 and further on. And the Title of our message is, “Will GOD reinstate the sacrifice in The Millennium?” The answer is, yes, He will. And we will explain why He will bring back the sacrifice in The Millennium, The Age Of Peace, later in the teaching. So with that said, let’s read LEVITICUS 2.1-6. LEVITICUS 2.1-2 Some Bibles read “meat offering”. But in fact the Hebrew KAR’BAHN MEEN’KHA means meal offering, or grain offering, or cereal offering. The meal offerings were brought to the Priests in The Tabernacle or The Temple. They were voluntary offerings by individuals offered to The LORD their GOD. And they were NOT for atonement, but for the purpose of the individual to express his or her love to The LORD. Their reverence. Their awe and respect for The LORD GOD ALMIGHTY. Perhaps for the fulfillment of their vows, or in prayer in times of distress and danger, or gratitude for GOD’s deliverance from harm. The grain offering also reminded the people that The LORD their GOD gives us our food, and in turn we owe our lives to The LORD. The grain offering was made of fine flour, oil, and in most cases water was added. And frankincense that has a sweet fragrant aroma. The grain offering had to be unleavened bread, meaning the grain offerings were matzah. Cakes and wafers made out of matzah. LEVITICUS 2.2-3 After burning the memorial offering, or better said, after turning the memorial offering into smoke on the altar as an offering made by fire of a sweet aroma to The LORD, the Priests ate what remained. It is most Holy, The LORD said. It was most Holy because the offering was dedicated to The LORD. (Leviticus 2.3) Yeshua The Messiah is most holy. LEVITICUS 2.4-7 Oblation in Hebrew is KAR’BAHN meaning an offering to The LORD. The offering was made of matzah baked in the oven, or baked in a pan. The offering was GOD’s recipe for matzah; fine flour, mingled with oil. Flour, as you all know, comes by grinding and sifting the meal of a grain, especially wheat, and used chiefly in baking. The ingredients for matzah are wheat, flour, and water. The meal offering to The LORD had oil poured upon it and frankincense placed upon it. LEVITICUS 2.8-11 No grain offering to The LORD was allowed to be made with leaven. Leaven is a substance such as yeast which is a leavening agent that causes batter or dough to rise. For GOD said, For no leaven or honey shall be burned, or turned into smoke as an offering by fire unto The LORD. The Pharisees are in sin because they reject The Messiah Yeshua Who is The Holy One of Israel, and The Promised Messiah to The Jewish People. And they teach others to reject Him. And they teach man made laws as though they were Torah. And King Herod killed Jews. ISAIAH 9.6, Hebrew Bible, ISAIAH 9.5, ISAIAH 53, MICAH 5.2, Hebrew Bible, MICAH 5.1, MATTHEW 15.7-9. The ONLY way to purge yourself of sin is by turning away from all your sins of breaking GOD’s Law of Moses, and obeying all GOD’s Laws that are written in The Law of Moses. There is no other way. Paul describes Messiah Yeshua as our Passover Lamb Who was sacrificed to be our Atonement. The first Passover lamb delivered us from Egyptian slavery. The second Passover Lamb, Yeshua The Messiah, delivered us from the slavery of sin. Messiah said, How will I compare The Kingdom of GOD? It is like leaven that a woman took and mixed in three measures of flour, and hid till the whole was leavened. That is, till it rose and expanded. I believe Messiah’s parable means this. We can compare Heaven with small numbers of people who over the years were sinners, but came to The Truth. Before Messiah, the sinners came to the Truth by believing in GOD and obeying His Commandments, Statutes, and Laws. After Messiah, the small number of sinners turned to The Messiah, believed in Him, obeyed GOD, and kept His Covenant, His Word and His Law of Moses. And as leaven expands, this small Special Family of GOD expanded over the years to become a great number of people growing into the Family of GOD Who will never perish but have everlasting Life. GENESIS 15.6, GENESIS 26.5, EXODUS 19.5-6, JOHN 3.16. LEVITICUS 2.12 An oblation, or an offering to The LORD of the first fruits, or the first crops were not burned on the altar for a sweet savor. They were simply offered to The LORD as a sign of the individual’s love for The LORD Their GOD. LEVITICUS 2.13 Salt is a preservative that preserves things. Salt keeps things in existence to last. And salt stands for the eternal existence of all GOD’s Covenants. GOD’s covenants are forever. They are indestructible. They never change and they never end. GOD’s Covenant of His Word and His Law of Moses never changes, nor does it end. GOD’s Covenant of blessing those who bless the Jewish People and curses those who curse the Jewish people will never change, nor will it end. GOD’s Covenant that He is The GOD of the Jewish People, and we are His People will never change, nor will it end. GOD’s Covenant that The New Covenant Who is The Messiah Yeshua, The Mighty GOD of Jacob, will forgive our iniquity and remember our sin no more, will never change, nor will it end. GOD’s Covenant that The Messiah Yeshua will raise up the tribes of Jacob, and restore the preserved of Israel and be a Light to the Gentiles, that Messiah Yeshua will be GOD’s Salvation to the end of the earth will never change, nor end. Every Covenant of GOD is forever. GENESIS 12.3, GENESIS 17.7-8, DEUTERONOMY 7.6, DEUTERONOMY 26.18, JEREMIAH 31.31-34. Every offering to GOD was required to be seasoned with salt. And salt is often used at the table of a Jewish home for blessing over the food because GOD said, All offerings shall be seasoned with salt. LEVITICUS 2.14-16 If the offering to The LORD was from the first grain of ripe ears of corn dried over fire ground from its kernels, oil and frankincense were put on it. And the Priest turned the memorial part of the offering into smoke. It was an offering to The LORD made by fire. These offerings to GOD teach us that GOD is very much part of our lives. And we are indebted to Him for everything. And we pay our debt by obeying Him, and loving Him. Okay. Now to our question. Will GOD bring back the sacrifice in The Millennium, The Age Of Peace? The answer is yes. And why will He reinstate the sacrifice? Because there will be a Temple in Jerusalem during the 1,000 year Millennium. And GOD requires daily animal sacrifices for atonement, and grain offerings as we discussed today because there will be a Temple in Jerusalem in The Millennium, The Future Age Of Peace. Let’s examine some Scriptures for proof that GOD will reinstate the sacrifice in The Millennium, and why. VERSE 5 The House is The Temple. So why with Messiah reigning as King in our view will GOD have animal sacrifices for atonement? I believe that Messiah Yeshua is The Anointed One at His first coming to be our Atonement. Our Atonement in Messiah remains forever. At His return, Messiah is Anointed to be King of Kings over all the earth. The animal sacrifices will make atonement for those mortals who enter The Kingdom in sin, and for those who will be born during The Age Of Peace. Posted on August 17, 2014 March 24, 2015 Categories Shabbat MessageLeave a comment on WILL GOD REINSTATE THE SACRIFICE IN THE MILLENNIUM? TEACHING TORAH IS LEARNING THE LAW OF MOSES. The first sacrifice recorded in Scripture was in the days of Abel, the son of Adam and Eve. Abel brought the firstborn of his flock for an offering to The LORD. GENESIS 4.1-5 Verse 4 Offering in Hebrew is MEEN’KHAH meaning a sacrifice offering to The LORD. Atonement is living evidence of GOD’s exceptional love for His Creation. Why? Because GOD allows us to have our sins forgiven. David wrote in the same Psalm, Against You (GOD), and You only have I sinned and done this evil in Your sight. Thus our sins can only be forgiven by the shed blood of a perfect unblemished sacrifice. The LORD GOD introduced atonement by the sacrifice and shed blood of certain animals at the altar in The Temple courtyard. And GOD determines everything. GOD determined that He Himself as a human being in The Person of The Anointed One, The Promised Jewish Messiah Yeshua would be our Atonement to be reconciled with The LORD OUR GOD, if we are willing to obey The LORD and follow His process for forgiveness that leads to Eternal Life in Heaven with GOD’S special and unique family. GENESIS 2.1-4 VERSE 4 The generations of the heavens and the earth are the summary of events of The Creation. GENESIS 2.4-7 VERSE 7 The LORD GOD formed man from the dust of the ground. Again, Formed in Hebrew is YAH’STAR meaning GOD squeezed Adam into shape in HIS Image. GOD also created Adam’s mind. GOD determined Adam’s entire life and the course of events that would take place in Adam’s life. That he would be the first created human being, and he would be the first along with his wife Eve to disobey GOD. And he and his wife would be the first to sin. GOD determined it. GOD breathed into his nostrils the breath of life and he became a living soul. Because GOD is Life, and we are dependent upon GOD for Life. GOD determines everything. GENESIS 2.8-17 The first words that GOD spoke to Adam, the first human being GOD created on the sixth day of Creation, was a command charging Adam not to eat from the tree of the knowledge of good and evil. There were other pleasant trees in the Garden to eat from, but GOD specifically told Adam not to eat from the tree of the knowledge of good and evil, for in the day that you eat of it, you will surely die. The serpent satan was and still is subtle, meaning satan is crafty, sly, tricky deceitful and dishonest. And here comes the deception. He said to Eve, Yea, or really, has GOD said you shall not eat of every tree of The Garden? Somewhat like what’s taught today, Really, has GOD said you should obey The Law of Moses? GENESIS 3. 2-5 We hear the same lie today. Here it is. Brothers and sisters, let me tell you, you don’t have to obey The Law of Moses. Right out of satan’s mouth. How can we know when we are taught, or told, or read that something is right or wrong in the sight of GOD? If what you are taught, or told, or read DOES NOT AGREE with what is written in The Law of Moses from Genesis through Deuteronomy, IT IS WRONG. GENESIS 3.6 This is the beginning of sin. Sin is described in this Passage as disobeying GOD. Disobeying GOD’S Commands. And as God promised, Adam died. Adam was 930 years old when he died. Adam and Eve were created to live forever. However GOD said, For in the day you eat of it you shall surely die. We have no biblical information of Eve’s death. GENESIS 5.5. GENESIS 3.7-13 Sin and lying go hand in hand. Adam blamed his wife Eve for sinning against GOD. And Eve blamed satan for deceiving her, causing her to sin against GOD. Yet disobedience to GOD’S Laws that are written in The Law of Moses is a controlling teaching of most every Bible teacher outside of Judaism. But we Jews have a different problem. The Synagogue teaches that Yeshua The Messiah is not GOD, nor is He The Messiah. Big Mistake. Both teachings are Big Mistakes. Thus the emergence of Messianic Judaism that started 2,000 years ago with The Promised Jewish Messiah Yeshua and His Jewish Disciples who wrote much of The New Covenant called The New Testament. Messianic Judaism teaches that The Messiah Yeshua is The Promised Messiah. But sadly, many Messianic Congregations teach against obeying the entire Law of Moses. Now that sin has been introduced by Adam and Eve, GOD tells the world through The Bible written by Jewish People, the many curses and troubles that will fall upon humanity for not obeying GOD. Just look around us. But in GOD’s grace and mercy, He gives us Atonement to forgive our sins. But the Church teaches against The Law of Moses, and according to GOD’S Word, He does not accept their atonement of Jesus Christ. And the Synagogue teaches against Yeshua The Messiah, leaving the Jewish People with no Atonement. ISAIAH 56.6-7, JEREMIAH 31.31-34 and The New Testament, written by Jewish People. GENESIS 3.14 Because satan deceived Adam and Eve, GOD has cursed satan above all animals, and every living thing. And the snake lost its legs and crawls on its belly. GENESIS 3.15 At some time in the future, GOD will bring this world to an end and few will be left. And anti-semitism along with the world’s disobedience to GOD will be the cause. This prophesy of GOD in Genesis 3.15, I believe is about anti-semitism. GOD spoke this prophesy some 2,000 years even before He formed Israel and the Jewish people from Abraham, Isaac, Jacob, and the twelve tribes of Jacob. GOD has put enmity or hatred between satan and the woman. And in this passage, the woman is Israel and the Jewish people. REVELATION 12.13. No people in history have been persecuted as Israel and the Jewish people have been persecuted by satan’s armies of anti-semites from the day we left Egypt, even to today by remnants of all races. And it continues, and will continue til The LORD GOD MESSIAH YESHUA returns and destroys all the enemies of the Jews, the anti-semites. GENESIS 3.16-19 Sin brings troubles, problems, grief and death. I’m telling you nothing you don’t already know. I believe another Jesus is preached today. I hear it, I read it. And another spirit is out there. The Jesus preached today is not the Jesus of The Bible. GENESIS 3.21 Note that The LORD made the coats of skins for Adam and Eve, and clothed them. Even in sin, GOD cares for His Creation, but with judgments because of sin. GENESIS 3.22 The LORD GOD is ELOHIM. There is only ONE GOD, yet GOD is an US. GOD, ELOHIM is our Father, our Messiah Yeshua. He is The Spirit of GOD, and The Holy Spirit, and much more. His Spirit fills Heaven and earth. Jeremiah 23.24. And bodily He can appear in many places at the same time, Genesis 19.24. And we are like GOD in many ways. We are made in His image, in His likeness. Like GOD, we have love, and sorrow, gentleness, anger. We help others, speak, hear. We have thoughts. But GOD said, If Adam and Eve take from the tree of life, they will live forever. GENESIS 3.23-24 So GOD drove them out of Eden. First, believe in Messiah Yeshua for Atonement having all your sins forgiven. And finally, say No to all false doctrine that will lead you away from GOD. Posted on August 10, 2014 March 24, 2015 Categories Shabbat MessageLeave a comment on TEACHING TORAH IS LEARNING THE LAW OF MOSES. YESHUA THE MESSIAH, THE GOD OF ISRAEL IS YOUR ATONEMENT. Shalom. This morning we will start our studies in the third book of The Torah, The Book of Leviticus. Our teaching will come from Leviticus 1.1-5. And the title of our message is, YESHUA THE MESSIAH, THE GOD OF ISRAEL IS YOUR ATONEMENT. The Hebrew title for Leviticus is VAH’YEEK’RAH meaning, And He Called. That is, GOD Called To Moses. As a point of information, the Hebrew titles for the five books of Torah come from the opening verse of the book. The first verse of Scripture in Leviticus in Hebrew is; Vah’yeek’rah El Mosheh Vay’da’bayr Yehovah Ay’layv. And The LORD CALLED To Moses And Spoke To Him. The Hebrew title for Genesis is B’RAY’SHEET meaning, In The Beginning. The opening words of Genesis are; B’ray’sheet Bah’rah Elohim Ate Ha’sha’mah’yeem V’ate Ha’ah’retz. IN THE BEGINNING GOD Created The Heavens And The Earth. The Hebrew title for Exodus is SH’MOTE meaning, Names. The opening words of Exodus are; V’ay’leh Sh’mote B’nay Y’srael Ha’bah’eem Meets’ra’yeem Ate Yah’ah’kove Eesh ‘oo’vee’toe Bah’oo. These Are The Names Of The Children Of Israel Who Came To Egypt With Jacob, Each Coming With Their Household. The Book of Numbers in Hebrew is B’MEED’BAR meaning, In The Wilderness. The opening words of Numbers in Hebrew are; Vy’da’bayr Yehovah El Mosheh B’meed’bar See’ny B’oh’hel Mo’ade. And The LORD spoke to Moses IN THE WILDERNESS Of Sinai In The Tabernacle Of The Congregation. And Deuteronomy is called D’VAH’REEM, in Hebrew meaning, Words. The Hebrew word for words is D’vah’reem. The words spoken by GOD are GOD’s Commandments, His Counsel, His Decrees, that is His Laws, His Judgments, His Message, His Power, His Promises, His Provision, His Purpose, and Our Duty and Task. The opening words of Deuteronomy in Hebrew are; Ay’leh Had’vah’reem Ah’sher De’bayr Mosheh El – Kal Ysrael. These Are The WORDS Which Moses Spoke To Israel. So the Hebrew titles for the five books of Torah are B’ray’sheet, Sh’mote, Va’yeek’rah, B’meed’bar, and D’vah’reem. Genesis, Exodus, Leviticus, Numbers and Deuteronomy. The Greek title for Leviticus is Levitikon, meaning things pertaining to the Levites, that is the Priests. The Priests come from the Tribe of Levi. Did you know that the entire Book of Leviticus was written and covered in one month? GOD gave the words of Leviticus to Moses over a period of one month. Here’s how we know that. Let’s look at EXODUS 40.17 In THE FIRST MONTH IN THE SECOND YEAR (after the Exodus from Egypt) on the first day of the month, The Tabernacle was reared up. Now let’s read NUMBERS 1.1 on the first day of THE SECOND MONTH, IN THE SECOND YEAR after they came out of the land of Egypt. Thus The Book of Leviticus was written and recorded over a period of thirty days. The Book of Leviticus is also called in Judaism, the study of purity, because Leviticus has GOD’s Teachings and Laws for purification and atonement. Atonement is being cleansed of our sins. So let’s get started with LEVITICUS 1.1-2. Moses is an excellent example of what a Prophet is. GOD speaks to the Prophet, and the Prophet communicates to the people all that The LORD GOD said. (Isaiah 43.21) We praise The LORD for His mighty works. The Exodus out of Egypt. His defeating the Egyptian armies at the Red Sea. We praise Him for many great works. And we will praise Him for defeating and destroying Hamas and their jihadist allies..
Moses received GOD’s Laws directly from GOD. And Moses gave GOD’s Laws called The Law of Moses to Israel. And Israel gave those very same Laws to the world through The Bible, to live by them, and do them. GOD’s Laws, The Laws of The GOD of Creation are for His Creation to live by. GOD’s Laws contain His Teachings, His Instructions, His Counsel, His Laws, His Commandments, and His Judgments, His Deliverance, and His Salvation that leads to Eternal Life. And GOD also out of His mercy for His Creation, gave the world His Jewish Messiah Yeshua Who in the flesh is GOD Himself, The GOD of Creation, to atone for their sins that leads to Eternal Life. But the gratitude the world shows to the Jewish people and Israel is demonstrated in what’s happening today in Israel in Israel’s fight to the death with the Palestinian Hamas, a barbaric bunch of terrorists whose vicious hunger is to kill Jews and destroy Israel. And with all the Islamic jihadists, they dream of taking over Israel and the world including America and Europe. But they won’t succeed. Every tongue that condemns Israel and the Jewish people will be defeated. See Nazi Germany. This war against Israel and the Jewish people is nothing new. It has been going on since the children of Israel left Egypt by the mighty Hand of GOD 3,400 years ago after 400 years of Egyptian slavery. But this current war that the Palestinian Hamas chose is a tragedy for both peoples, the Jewish people and the Palestinian people. But the Palestinians picked the wrong foe because they live by a satanic lie that Israel belongs to them. And much of the world has bought into that satanic lie. It’s called Anti-Semitism. Palestine is a name the Romans gave Israel in 135 C.E. Israel is the name of the Jewish Homeland that GOD gave to us, the Jewish people 4,000 years ago, Genesis 17.7-8. And as long as the earth remains, the Jewish Homeland of Israel will remain, Genesis 17.7-8. 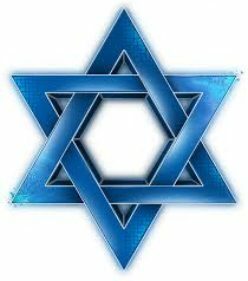 And the Jewish people will remain forever as the new Heavens and the new earth will remain before The LORD forever. ISAIAH 66.22. And much of the world has Jewish blood on their hands. And much of the world worship a Jewish Jesus Christ. And express their gratitude to the Jewish People and GOD Who gave them The Bible from Genesis through Revelation. Who gave them GOD’s Words and His Laws to live by. And GOD gave them The Jewish Jesus Christ Whom they worship. And the majority of the world express their gratitude to the Jewish People and GOD by eliminating every Law of GOD. Not to forget the crusades, the inquisition and the holocaust. And before those horrific events, the pograms against the Jews throughout Europe and Russia from the years 1012 through 1891, to the Anti-Semitic rioting in Europe today that rivals the Anti-Semitism in Europe in the 1930’s and 1940’s. But to the credit of many Christians and other Gentiles who support Israel, and stand by the Jewish people, GOD will bless you for blessing His Jewish people. GENESIS 12.3, MATTHEW 25.31-46. Back to Leviticus, LEVITICUS 1.1-5 focusing on Verses 2-5. This offering spoken of here is a burnt sacrifice offered by a person of their own voluntary will to receive atonement. Atonement in Hebrew is KAH’FAYR meaning to forgive their sins, and make reconciliation with GOD. Judaism teaches that atonement can be accomplished in a number of ways. Through the payment of compensation for a wrong committed, through suffering, or through the performance of certain rituals. And accompanied with repentance, and the rectification to make right one’s way of life. This doctrine is wrong. GOD’s Word according to Torah that stands forever is that it is the blood that makes atonement for the soul. Leviticus 17.11. And it is Yeshua’s blood that makes Atonement for our soul today. Most Jewish people do not want to think Jesus. We Jewish people have been brought up to despise the Name Jesus. It’s prophetic in Isaiah 53. I too despised Jesus until I read the Truth in The Bible. This Jesus Whom most Jewish people despise is not only The GOD of Israel, but of His own Voluntary Will, He offered Himself to a horrific sacrificial death to be our Atonement. How incredible is that love for a people who despise Him? There is no other atonement. The One Who loves you is IT. Posted on August 3, 2014 March 24, 2015 Categories Shabbat MessageLeave a comment on YESHUA THE MESSIAH, THE GOD OF ISRAEL IS YOUR ATONEMENT.